While there are tens of thousands of Americans across the country deciding whether it’s smart to buy a home, there are probably twice that many who could benefit from refinancing. Since mid-November, mortgage rates have been on the increase, which means the time to do so may be running out. Here are some of the reasons why you should think about refinancing now. If there’s one reason why homeowners refinance, it’s because they have an opportunity to get a lower interest rate. No only will their monthly payments go down – and sometimes significantly – but they will also pay less interest over the lifetimes of their mortgages, which may equal tens of thousands of dollars in savings. In fact, it’s estimated that the average homeowners could save themselves about $3000 by refinancing their mortgages right now. Even though interest rates are starting to climb, they’re still lower than most existing mortgages. Over the last several years, many Americans were able to successfully raise their credit scores significantly. This comes along with the fact that many traditional lenders lowered their credit guidelines and made credit more accessible, thereby giving people the opportunity to prove their creditworthiness. Fortunately, a better credit score often means a better mortgage rate. Even if your credit score has climbed by 30 points since you first took out your mortgage, things like your debt-to-income ratio and credit utilization could decrease your rates by as much as an entire percent, drastically lowering your annual interest payments. If there’s one thing that more Americans need to focus on, it’s retirement planning. Because so much of your monthly income (up to 30%, on average) goes toward paying your monthly mortgage payment, lowering that payment can free up hundreds of dollars that you can use for many things. You can put it directly into a long-term high-interest savings account so it can grow until you retire, or you can use it to pay down your existing debt and save even more money in the long run. Refinancing now can impact many different areas of your financial life. If you’re stuck in an ARM mortgage, it’s time to make a change – and it’s time to do it quickly. An adjustable rate mortgage can fluctuate with the housing market, which means your monthly payments can become unpredictable. What’s more, as inflation takes off, your payments are more likely to go up than down. Refinancing now can help you lock into a fixed rate mortgage that can help you save money in the long run. The best part is that your monthly payments will be predictable throughout the life of your mortgage. 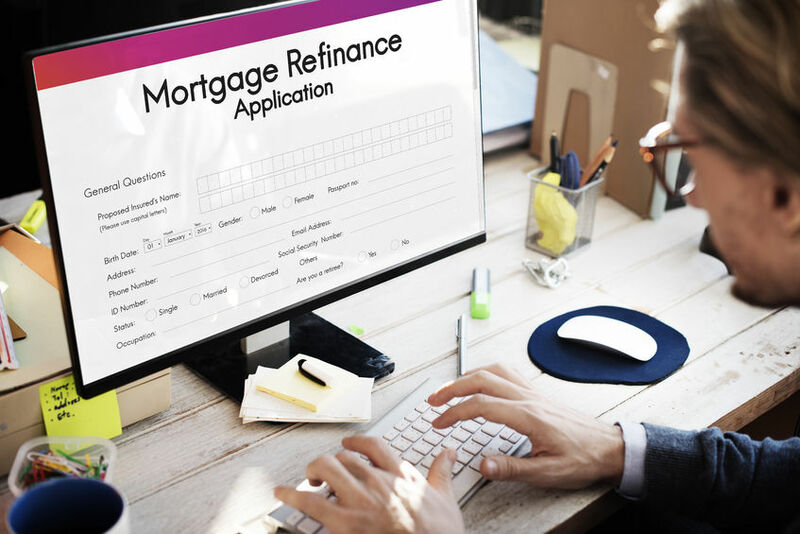 If you’ve been debating over whether it’s time to refinance your mortgage – or if you’ve been putting it off because it takes some time and effort to find the right lender – then you might want to reconsider. Refinancing now can help you lock in lower interest rates and save money that you can use to save for retirement or pay down your existing debt. This entry was posted in Blog and tagged mortgage, refinance by Scott Li. Bookmark the permalink.